The United States State Department has updated its travel advisory for the country of Mexico. The agency’s warning to American citizens going to Mexico is to exercise increased caution due to crime. “Violent crime, such as homicide, kidnapping, carjacking, and robbery, is widespread,” wrote the agency in its advisory. “The U.S. government has limited ability to provide emergency services to U.S. citizens in many areas of Mexico as U.S. government employees are prohibited from travel to these areas,” essentially saying if you go, traveler beware. High on the department’s list of areas that come with safety and security risks are the Mexican states of: Colima, Guerrero, Michoacán, Sinaloa, and Tamaulipas -- all due to crime. “Even though most of those homicides appeared to be targeted, criminal organization assassinations, turf battles between criminal groups have resulted in violent crime in areas frequented by U.S. citizens. Bystanders have been injured or killed in shooting incidents,” the agency warns. 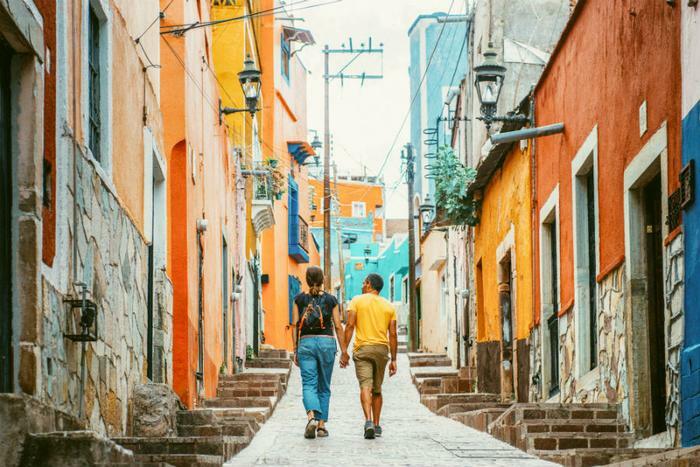 Despite the State Department’s ever-present travel advisories, Mexico's tourism department has to like the numbers it sees. In 2017, more than 35 million Americans travelled to Mexico, up from 20 million five years ago. Many -- if not most -- got there by air, and Mexico’s secretary of tourism Enrique de la Madrid appreciates how that bread’s getting buttered. Can I go anywhere in Mexico? The good news from the State Department is that there are still plenty of areas that it considers safe for tourists. There are 22 tourist spots in Mexico that have been given the all-clear. Those include: Baja California (Ensenada, Rosarito, Tijuana); Cabo San Lucas, San Jose del Cabo, La Paz, Palenque, San Cristobal de las Casas, Tuxtla Gutierrez, Guadalajara, Puerto Vallarta, Chapala, Ajijic, Cancun, Cozumel, Playa del Carmen, Tulum, the Riviera Maya, Chichen Itza, Merida, Uxmal, and Valladolid. Many of those approved destinations have all-inclusive resorts where tourists can enjoy South of the border life without danger. Two of those popular resort communities -- the Cabos and Cancun -- appear to have turned things around from the warning the State Department issued for those destinations a year ago. However, Acapulco, once an American favorite, continues to be blacklisted by the State Department. Visit the U.S. Embassy in Mexico’s website for both security and weather alerts.